2014 is not just the 100th anniversary year of Leica photography, but it also marks the 60th birthday of the Leica M. To celebrate the occasion, the Leica Museum at Leitz Park presents a special exhibition spanning six decades of the Leica M-System. We were able to speak with Lars Netopil, curator of the exhibition. 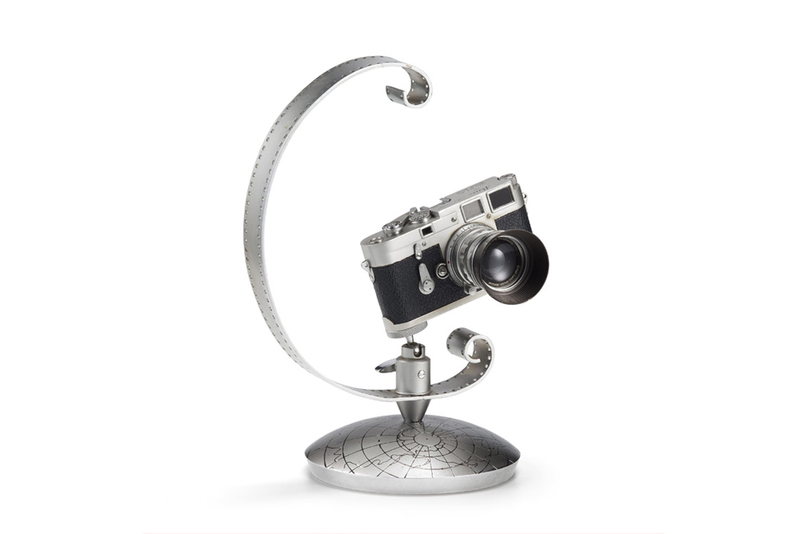 Q: Mr. Netopil, would you tell our Leica Blog readers a little bit about yourself. A: I was born in 1968 and bought my first Leica when I was fourteen years old. Ever since then, my fascination of this unique camera has never left me. After finishing my law degree, I dedicated myself entirely to Leica. I’ve been the vice president of the Leica Historical Society since 1993, and in 1996 I opened the specialist retail venue, Lars Netopil Classic Cameras in Wetzlar (Leica Store Wetzlar Old-town). 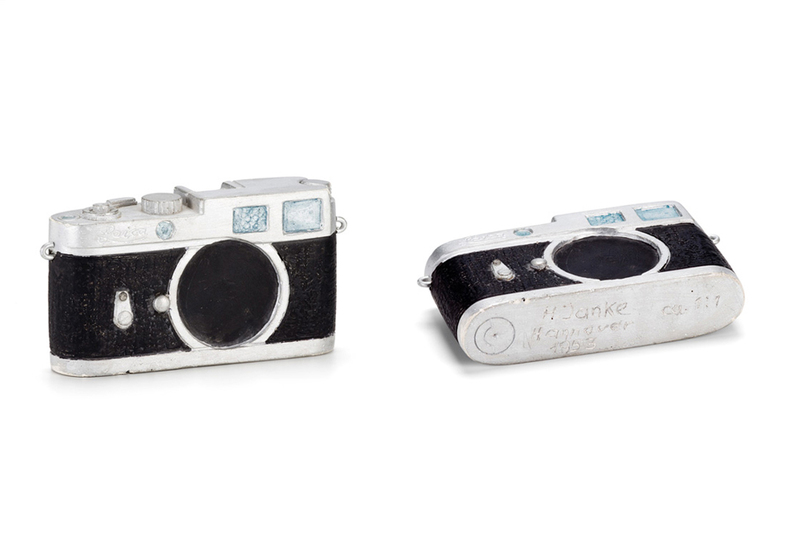 In addition to my work within the international Leica collectors market, I am also a consultant for Leica museums and various auction houses. Since 1999, I have been in an advisory position for Leica Camera AG and the company’s Historical Archive and Museum Department. Q: What can visitors expect to see in the exhibition, and where did you source the items on display? A: The Leica Museum in Wetzlar’s Leitz Park features a permanent exhibition showing the developmental history of all of the company’s product lines. 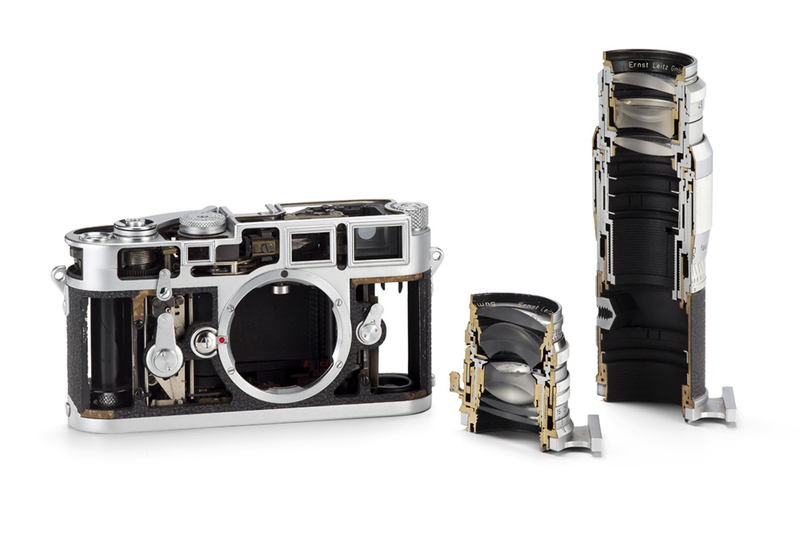 This very well-executed display of cameras and lenses naturally includes the M-System, showing practically its entire history in the form of serially produced models from 1954 to the present. So for this temporary exhibition, I felt that it was important to avoid overlaps as much as possible. 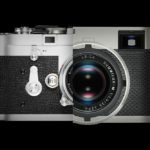 Obviously we show the very first version of the M3 as our first exhibit, exactly as it was introduced at photokina 1954. All subsequent exhibits are exceptional and standout items from the M’s sixty year history. 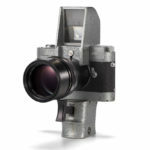 The spectrum ranges from prototypes built before 1954, specialist models produced for military or scientific photography, all the way to cameras that were dedicated to famous personalities. I was aiming for diversity. I want the avid collector, who may already own similar versions to the displayed items, to still discover things that stop them in their tracks. At the same time, I want the exhibition to appeal to any ordinary visitor to the factory, compelling them to investigate further. For this purpose, we have installed touch screens offering additional information on every exhibit. That was the really labour-intensive part of the exhibition. The displayed items were taken from the museum’s own collection. Years ago, when the company was struggling to survive, some vital pieces from the museum’s holdings were unfortunately sold. Now however, thanks to the very fortuitous acquisition of a significant Leica collection from the USA, the museum once again returns to a standard that befits a global company. Q: Which exhibits do you feel most proud of, perhaps because they have never been shown before? A: Just like any visitor, I have my own personal favourites. One would be the Leica M3 built on a scale of 1:2, which was a present to chief designer Willi Stein from the colleagues in his department. The level of detail is remarkable, and it reflects the spirit within the Leitz company in the 1950s. The model was created in 1955 and has never been shown to the public. 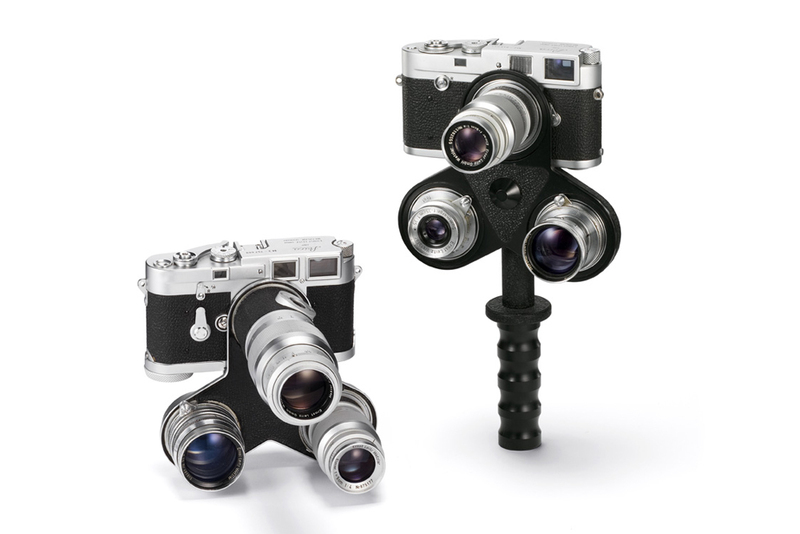 Equally impressive are the Leica MS and UW – both were special designs for the US Navy. 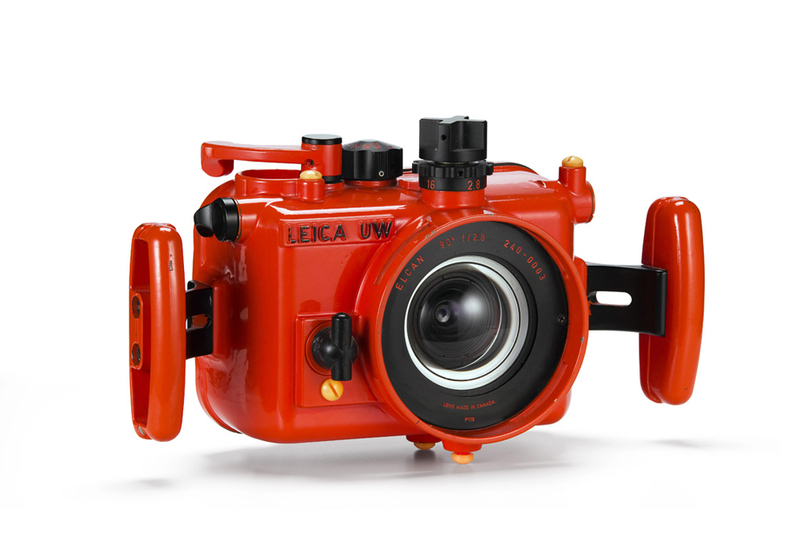 Whereby the Leica UW was not, strictly speaking, a camera, but an under-water housing for a Leica M camera. The UW featured a fixed-mounted lens whose front element was designed for direct contact with water. This type of client operated within a practically infinite budget. In a small number of cases, military models later led to versions for the civilian market, so benefitting all Leica customers. 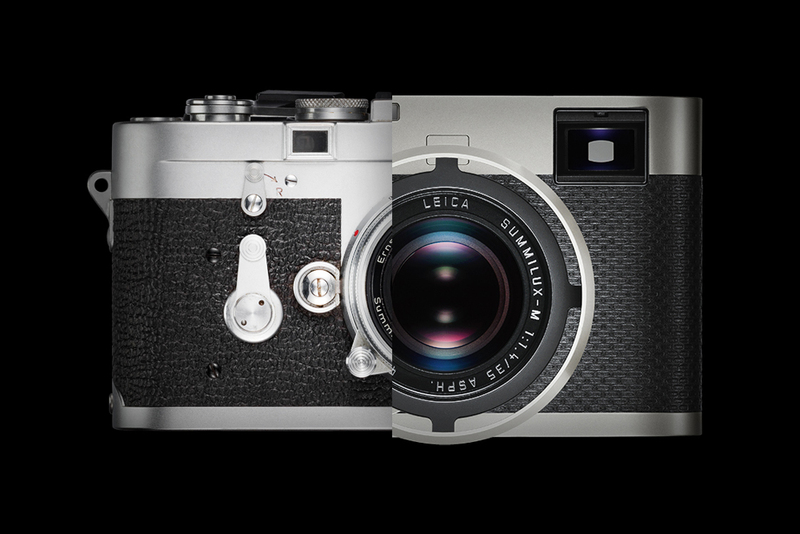 Q: By the time the M3 was introduced in 1954, ‘the Leica’ had already revolutionised photography. How was the new camera received within the photography scene? A: I have met a number of Leica photographers who still clearly remember this. 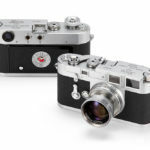 Compared to its predecessors, the Leica M3 offered a host of innovations that customers had been waiting for since pre-war times. Essentially these were: a fold-out rear panel which made loading film considerably easier, a fixed, non-rotating shutter speed dial enabling the camera to work with an external exposure meter, the large bright-line viewfinder for three focal lengths with automatic parallax correction combined with the rangefinder, an integral, automatically re-setting frame counter, a rapid-wind lever, and the bayonet lens mount. What was so extraordinary was that all of these features had been realised within one innovation, so that the new camera covered (almost) everything the Leica was lacking over the preceding years. The lens quality had always been impeccable and the M3 maintained its high standards. Another advantage was the camera’s uncompromising downward compatibility: the flange focal length of the M3 was 1 mm shorter than that of its screw-mount predecessors. This meant that with a mere 1 mm thick adapter, all screw-mount lenses could still be used on the M3 – now in conjunction with a rangefinder. One interesting exception was the Leicavit rapid winder. 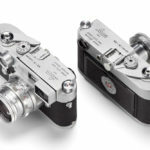 Designed to attach to the Leica III and IIIf in place of a base plate, the Leicavit could not be used on the M3 – or rather, no M3 version of it was made available. The reason was that the internal mechanism that controlled the M3’s automatically re-setting frame counter left no room for the extended spool axis. 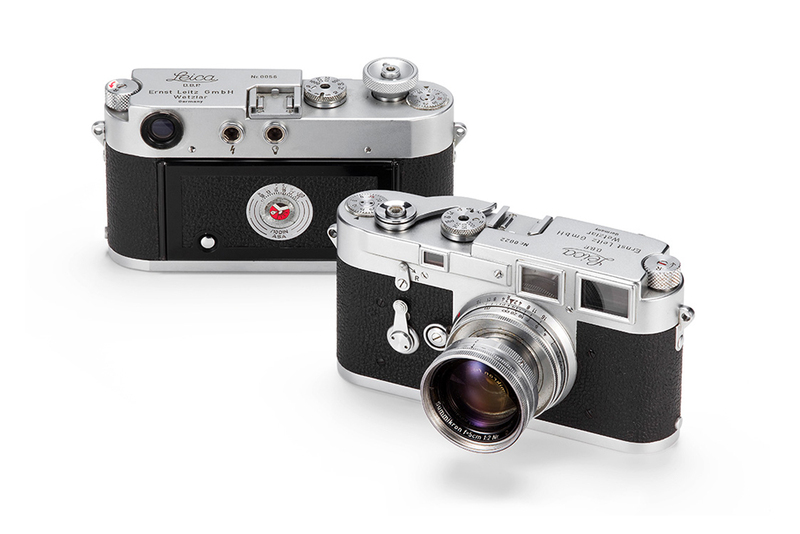 It was none other than the famous LIFE photographer Alfred Eisenstaedt who, being so accustomed to the Leicavit, openly criticised its non-availability for the M3 – so much so that there were concerns he may switch to a different brand. 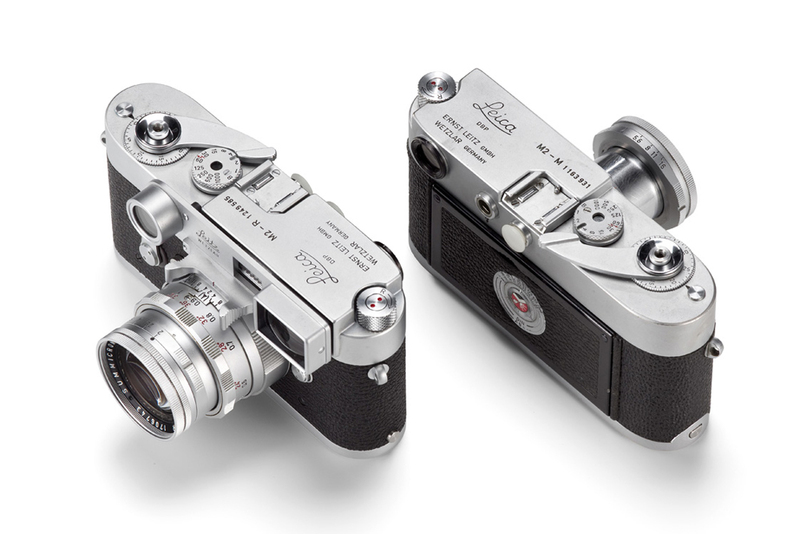 As a result, the Leica M3E was made specifically for him – an M3 with Leicavit. 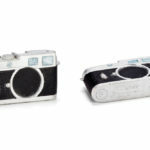 No less than four models of the same version were also produced for David Douglas Duncan, under the name of Leica M3D. 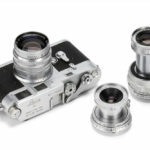 These cameras were essentially the pilot run of the now famous Leica MP, which was manufactured from 1956 onwards in a production run of just 402 units. In comparison, by 1967 almost a quarter of a million units of the M3 had been produced. Q: There is a history leading up to the creation of the M3 that goes back to the 1930s. Which considerations were the engineers governed by, and what were the challenges they faced to complete the evolution from Oskar Barnack’s invention to the Leica rangefinder? A: This was indeed quite a challenge. Interestingly, the above-mentioned features had been implemented in Leica cameras before, albeit singularly and on an experimental basis. For example, there are prototypes with a fold-out back panel from the early 1930s. Also, the horizontal focal plane shutter with fixed shutter speed dial is based on a Leitz patent dating from 1935, which we show in the exhibition. In this context, there is an interesting camera with the name of Leica IV – a model from 1935 which still features an interchangeable thread mount and does not yet have a focal plane shutter. 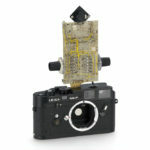 Nevertheless, due to the other innovations inherent in this model, it is considered the ‘Ur’- model of the Leica M3. Unfortunately, the camera is now privately owned. I hope that it might be possible to acquire it again one day. It was still very much based on the work of Oskar Barnack as well as Wilhelm Albert, his closest collaborator and immediate successor as photographic engineer. Without a doubt, the greatest obstacle to a speedier development of the M3 was the Second World War. There is a drawing from the year of 1946, depicting a camera which, in essence, is a Leica M – this is also displayed in the exhibition. 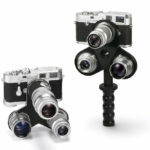 Q: The lenses play a major role in the endurance of the M-System. Which insights does the exhibition convey in this regard? A: The newly designed, permanent exhibition of the Leica family tree features more lenses than cameras, marking the fact that the lenses and their remarkable quality have always been a major contributing factor to the success of the Leica. In this temporary exhibition, however, there is a somewhat stronger focus on the camera bodies – although the title “60 Years of Leica M” naturally includes 60 years of Leica M lenses. In this regard, I placed particular focus on Leitz Canada. For example, the exhibition features the first version of the Summilux 35 mm f/1.4 alongside two of its prototypes. We are also showing a prototype of the Noctilux 50 mm f/1 from the 1980s, which already offered an integrated lens hood, as well as a prototype of the Leica Extender-M 1.5x (also from the ’80s) that has never been serially produced. 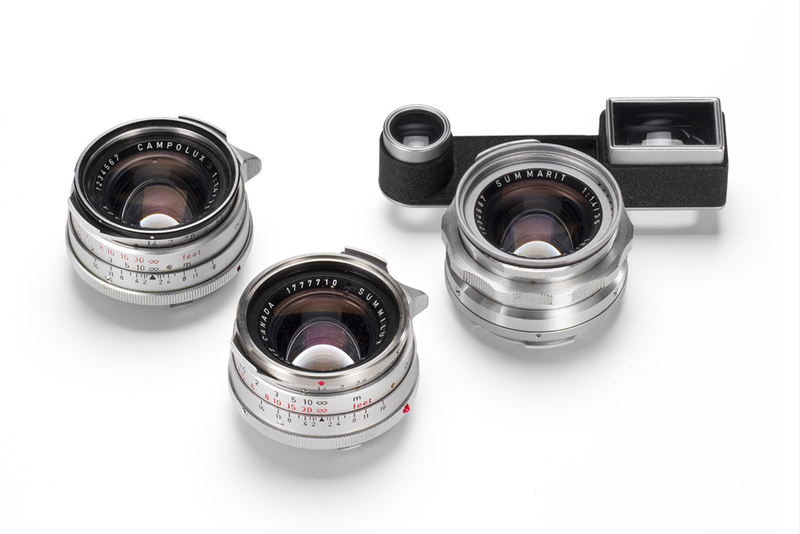 A particularly exciting part of the exhibition is the Leica OROLF lens revolver from 1960 – you could call it the ‘Ur’ Tri-Elmar – addressing the theme of ‘variable focal lengths for the Leica M’. Q: The M-System is forever associated with the golden years of reportage photography. Yet the M was also intended as a universal system. How is this evident? A: The vast majority of Leica M cameras ever sold are used by amateurs. After all, more than 225,000 units were manufactured of the M3 alone. As I already mentioned, one of the key innovations of the Leica M was its non-rotating shutter speed dial. But have you ever seen Elliott Erwitt, Henri Cartier-Bresson, Alfred Eisenstaedt or David Douglas Duncan using a Leicameter? Of course not. This means that the M is predominantly an amateur camera which is simultaneously capable of fulfilling professional requirements. Furthermore, the Leica M was a very universal mirror reflex system – free of any competition until the introduction of the Pentax Spotmatic. This is why the Visoflex along with its lenses are considered part of the M-System’s family tree. And yet, even the Visoflex System was frequently used by amateurs, though of course it also served the scientific community, particularly in macro photography. For this purpose, Leica released the Leica MD in 1963. Constructed without a viewfinder, it could be combined with the Visoflex and a range of specialist accessories for scientific applications. This model can also be seen in the exhibition. 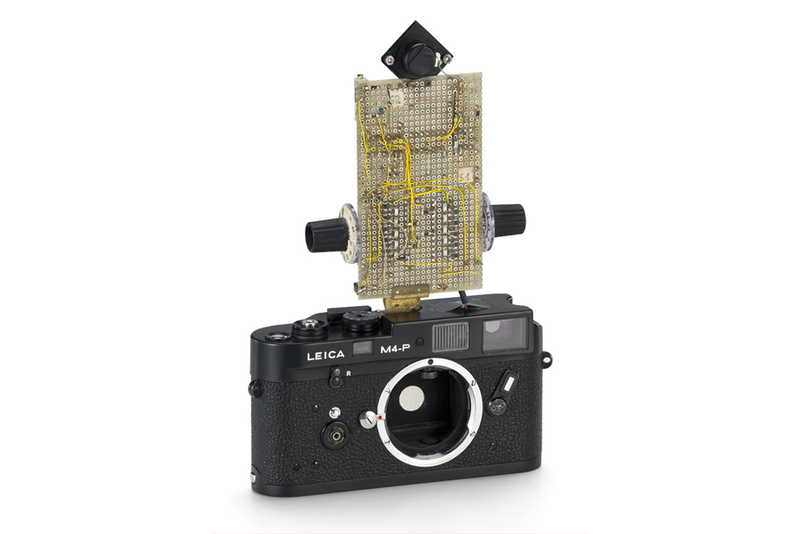 All in all, we can safely say that the Leica M-System was suitable for a multitude of possible applications. And while its use in photojournalism inevitably gained the most public exposure, it was by no means the most prevalent. 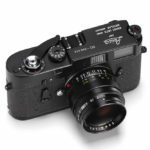 Q: The M3 is one of the most successful of all Leica cameras. 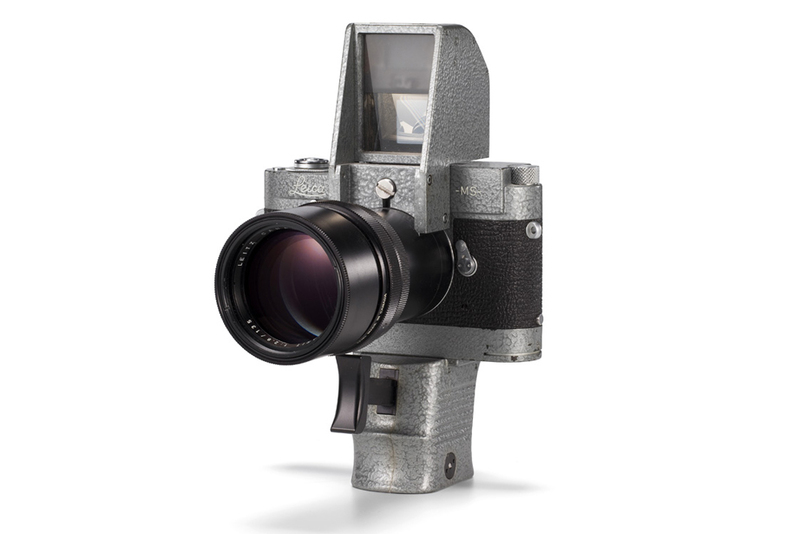 But even as it was being manufactured, rangefinder photography almost threatened to go back out of fashion. How did Leitz respond to these challenges? A: The introduction of the 35 mm mirror reflex camera Pentax Spotmatic was, of course, the same thunderbolt as the Leica M3 had been before it. But no matter how many millions of SLRs were sold since then, the Leica M never really went out of fashion. The number of its followers has reduced only in relation to the overall photography market. Prior to the introduction of the digital M, around one million M cameras had been sold since 1954. I am assuming that 10 percent are still in regular use. One significant development of the M3 was the integrated exposure metering through the lens. This was a big challenge which the developers attempted to tackle from very early on, with M3-based prototypes dating back to 1965. It was not until 1971 that the M5 was released onto the market, followed two years later by its ‘little sister’, the CL. The M5 not only turned out too large, heavy and expensive, but deviated from the classic M body, and this posed its biggest market problem. In 1984, Leica managed to accommodate the TTL exposure meter within the classic camera body of the M6. With this model, the M-System experienced a major renaissance, similar to the one later brought about by the digital Leica M.
Q: In addition to Wetzlar, Leitz established the aforementioned Midland production site in Canada back in the 1950s. What was its significance for the development of the M- System? A: Günther Leitz established the plant in 1952 for the purpose of assembling Leica cameras for the US market by using parts that had been manufactured in Wetzlar. Soon however, Leitz Canada evolved into a fully-fledged high-tech centre with its own developmental department for lens design, headed by Dr. Walter Mandler. In addition to creating famous lenses such as the Noctilux 50 mm f/1.0 or the Apo-Telyt 180 mm f/3.4, he also pursued groundbreaking lens developments in the field of military optics. One example is the Elcan-M 66 mm f/2, which is displayed in the exhibition. Toward the mid-’70s, mirror reflex cameras dominated the market, raising the question as to whether the M should be discontinued. At that time, almost all M lenses were being produced in Canada, which meant that the survival of the plant was unclear. For this reason, the head of Leitz Canada, Walter Kluck, moved the entire M production to Midland, which subsequently led to the M4-2 and M4-P. Even a version without viewfinder was produced during that time under the name of MD-2, as well as accessory parts such as M winders and mirror reflex viewfinders. Looking back, you could say that Leitz Canada saved the Leica M. The Noctilux 50 mm f/1 was manufactured there to the end. Today, the company is called ELCAN, and is no longer affiliated with Leica Camera. A: There have been, and still are, a number of great camera systems. However, the Leica, and in particular the Leica M, are in a different league: socially, emotionally and in terms of prestige. David Douglas Duncan voiced this when I spoke to him just recently. At an age of nearly 99, he looks back over 60 years of the M as an experienced photographer. You have already named one important factor – the system’s uncompromising compatibility. 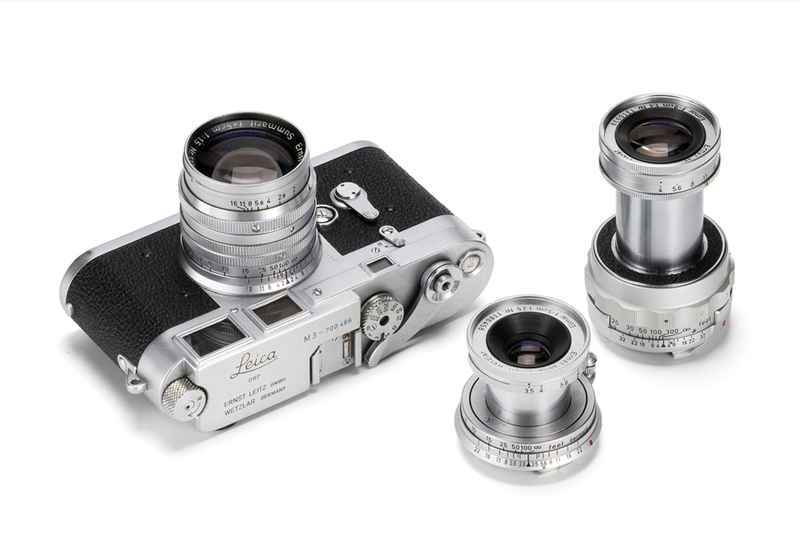 An M3 from 1954 can still receive the full Leica service, and can be used with all contemporary M lenses without restrictions. This is globally unique in several ways. If you consider every M lens produced over the past sixty years to always have been the best in the world, this compatibility is certainly far from insignificant. Along with all of its technological merits, the prestige, according to Duncan, certainly also plays a part in the secret. To draw a parallel to the automobile market: A customer who buys a Ferrari, even just for the purpose of driving through Frankfurt, still has the winner’s podium of Formula One somewhere in his mind. Also, the Leica always was and still is a fashion item. This is something we currently notice most strongly with our customers in China. 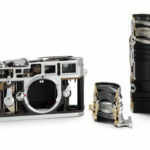 There, you “wear” a Leica – regardless of whether each and every customer necessarily utilises the true image capabilities of the lenses, or not. There is another factor I would like to address, and that’s the system’s permanence. A photographer who buys an analogue M does so for a lifetime. The same goes for M lenses. Visit Lars Netopils Classic Cameras website and Facebook page. You can also read the original German interview here. please update your site to be mobile friendly. I skip so much content these days because it just doesn’t work on an iPhone. And while you’re at it, allow the full article, including photos, in your RSS feed. 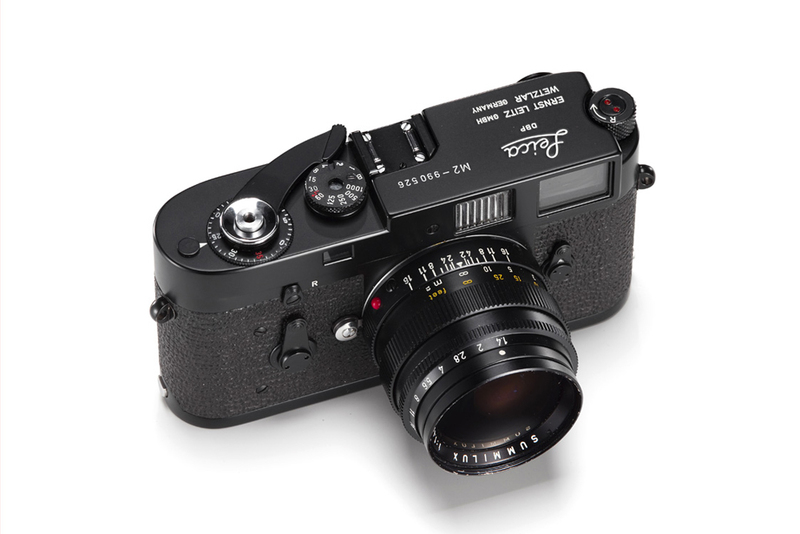 Thank you for a good summary, from a Leica M user these past 50 years. A remarkable article on the M camera. My M3 purchased new 1967, is still in use. The Collapsible Summicron dates to 1954. I answered wait for the negatives and prints. and captured a Nation in transition..
Ziggy and I go out at least once a week or more. A camera this old, a constant companion, got named..